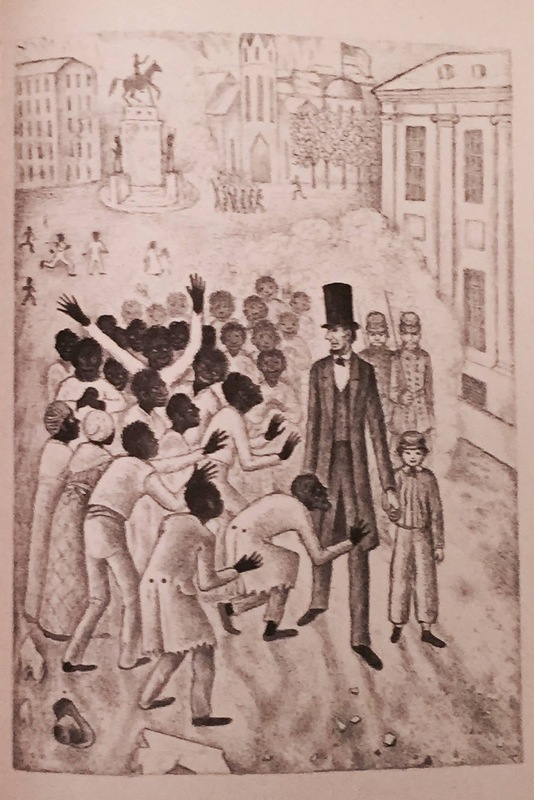 On December 1, 2015, Publisher's Weekly ran an article about Ingri and Edgar Parin d'Aulaire's Abraham Lincoln, which won the Caldecott Award in 1940. The article states that the book will be reprinted to mark the 75th anniversary. Gross interviews Rea Berg of Beautiful Feet Books. It is her press that is reprinting the book. 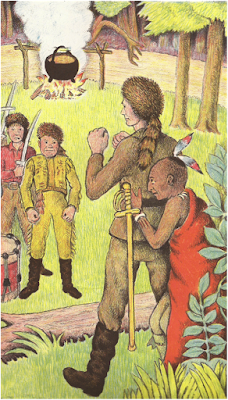 I have not seen one of the original printings of the book. Apparently, the art in the book published in 1940 suffered in prints in the 1950s, when printing techniques changed. Berg's reprinting will restore the color and quality of the original. I often discuss the book when I do workshops and lectures, but haven't written about it here on AICL. In my workshops, these pages are the ones I draw attention to. Look at the upper left corner, where you see what the d'Aulaire's intended to be a tipi and an Indian man, with one foot raised. Why, I wonder, is he shown that way? And his tipi is more like a toy than a real tipi. The book is a life history. It includes that page of Lincoln as a child. The text, "solemn like a little papoose," plays on stereotypes of Native people as being stoic. And I wonder if the d'Aulaire's knew that papoose is not the Native word for baby. It is one peoples' word, but there's hundreds of Native languages and each one has its own word for baby. Later, the d'Aulaire's tell us about Lincoln fighting Black Hawk. Here's an enlarged image from that page. 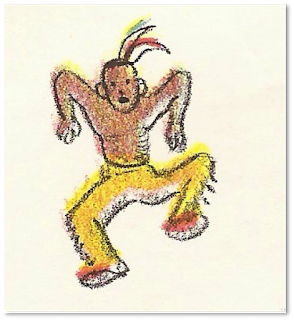 Relative to the people drawn on other pages, this "Indian" is tiny --- but look at how cartoonish it is drawn! 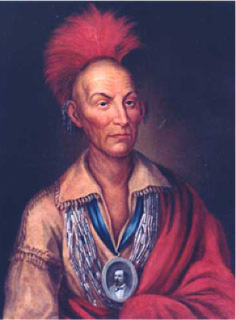 [T]he men of New Salem were called to war, for an Indian chief, Black Hawk, had come back to Illinois with his warriors. 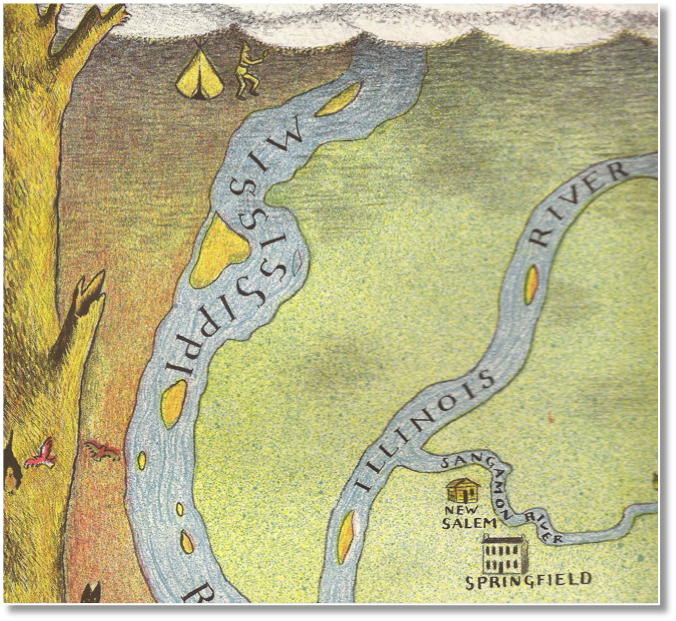 [T]he people of Illinois [...] went to war to chase the Indians out. One day a peaceful old Indian came walking into camp. The soldiers were angry and wanted to kill him, but Abe said, "Anyone who touches him must fight me first." Because Abe was the strongest, they had to obey." I wonder if that "peaceful old Indian" was modeled on this portrait of Black Hawk? Here's that particular image, again, of the cowering man who will be standing erect in the new edition. What, I wonder, was the thinking behind the decision to change that man from cowering to standing erect? In the original, it fits with the white savior theme. Changing him from cowering to erect doesn't change that theme. On the other hand, there are many accounts of an old Indian man walking into camp and Lincoln saying to his men that they should not hurt him. The sources don't have the "fight me first" line. The accounts are more specific to how Lincoln was viewed by those men. They didn't really respect him and somehow, his defending the old Indian is part of that account. When the new book comes out, I'll definitely do some comparisons. Now--if I'd been asked to suggest changes, I'd add a bit about the word, papoose, and I'd revise the text about Black Hawk, too. And, I'd include a page about Lincoln signing the order for the largest mass execution in the US: the hangings of the Dakota 38. I'll add a link to this post to the set of links I'm compiling that document changes to children's books and I'll be back with a better image of that page when I get to the library (current image is courtesy of Sarah Hamburg). Yes indeed, all these observations are hard to set aside. We could to a point excuse this because of the age of the book - over 75 years old - pre civil rights, etc., but that still doesn't sit well when you consider it is still in our classrooms and libraries. I happen to be an Abe Lincoln fanatic and adore the art of the d'Aulaires in this and other books, but these characterizations are troubling for sure. Excellent presentation here. In yesterday's mail was a copy of the 75th anniversary edition. Today I'll head to the library and get one of the pre-75th anniversary editions and do some careful study of the changes. Sam--your comment about excusing the book because of its age is a common one that has no merit. That excuse does not take into account the fact that Native people, and African American people, and likely a lot of White people, too, who were living in the time the book was being created would not agree with the depictions in it. I'm very glad to see you say "to a point" and hope that you're not teaching the book in your classroom. If you are--or have--did you notice these problems? 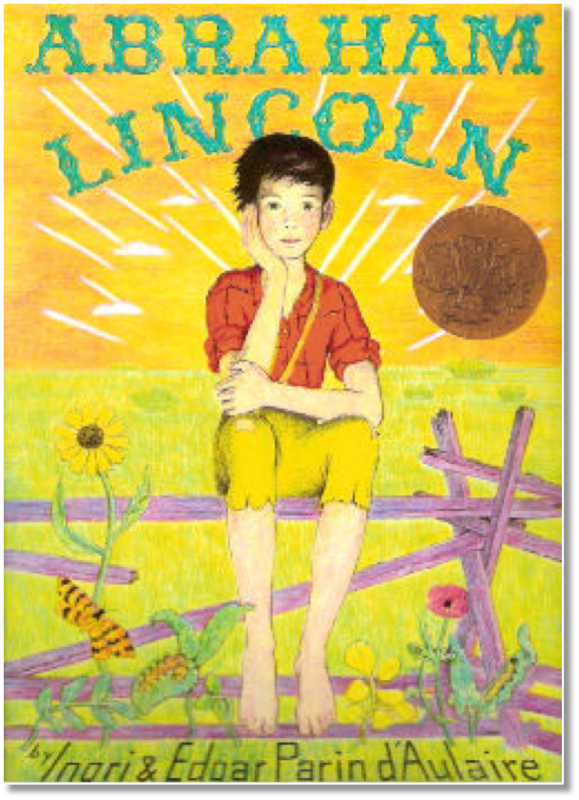 Debbie, I use LINCOLN: A PHOTOBIOGRAPHY by Russell Freedman, the Newbery winner for my Lincoln unit. 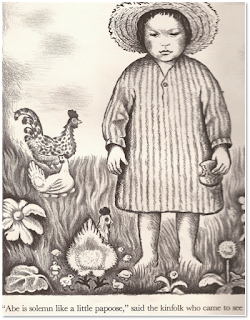 I have an old copy of the d'Aulaires book for collecting purposes only as part of my personal Caldecott collection. I agree with you that the book's age is not an excuse at all, and the book was a sorry encapsulation of racial stereotypes from that era. It remains seductive artistically, -they are ravishing illustrators- but at an unacceptable price.